In her longstanding, expansive career, Uma da Cunha has been part of India’s independent cinema through its innumerable highs and lows, and consistently evolved her work with the changing times. The year 2018, marked two decades since Uma first started editing and publishing the magazine Film India Worldwide, with the aim of championing Indian films on the global stage. 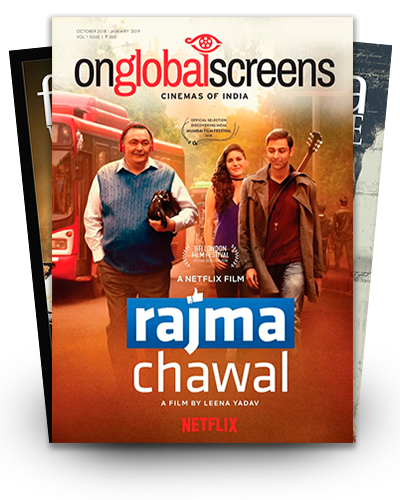 The organisation, On Global Screens (OGS), is an effort to consolidate her life’s work under a single banner, and at its forefront is the re-branded magazine of the same name, On Global Screens. The OGS magazine is a news journal that is arguably India’s only publication focused on its independent and regional cinema movement. It covers India’s vibrant filmmaking spectrum: art house, independent, debut and regional language work, short films and documentary, books on cinema, views and reviews. It features regularly, in advance, upcoming work from both debut and master filmmakers, just as it celebrates India’s cinematic achievements the world over. The magazine is of special interest to film professionals, festival organizers and programmers, as well as to academics, journalists, researchers and libraries, nationally and internationally. 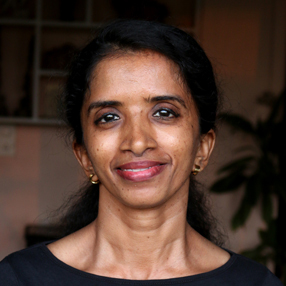 Uma has a Master’s Degree in English Literature from Delhi University, and taught the subject for a year at Miranda House. Her work in cinema spans programming, writing and casting. In 1966 she edited Montage – A Monograph on Satyajit Ray, which fortuitously led to her first ever film festival visit in Venice. 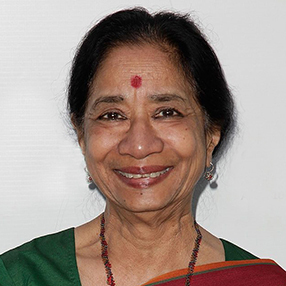 Her association with films started for good in 1974 with the Directorate of Film Festivals, Govt. of India, as she left a prominent career as copywriter during what was advertising’s ‘golden age’. 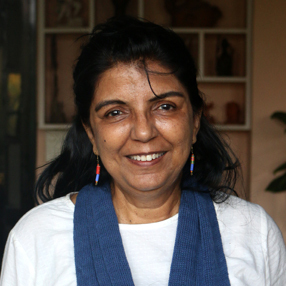 In 1978, she set out on her own, organizing film festivals and related events in India and abroad. Over the years, she served as Hon. Secretary for Anandam Film Society and initiated Drishti, the film society in Bombay that promoted Indian art cinema, and briefly as President for the Federation of Film Societies (Maharashtra Region). Uma has been writing for leading newspapers and publications, casting for films such as Deepa Mehta's Water, Mira Nair's Kamasutra, Jane Campion's Holy Smoke, Dev Benegal's English August and Ashutosh Gowariker's Lagaan. She has assisted major festivals such as those at Cannes, Berlin and Venice and more recently, Toronto and Busan. As well as, been the Founder-Advisor to several Indian film festivals held abroad (London, Los Angeles, Stuttgart). She has also held Indian film sessions at New York's Museum of Modern Art, The Lincoln Center and the Museum of Modern Image. In 2009, she served on the International jury for Cannes's Un Certain Regard and following year on the FIPRESCI jury at the Busan International Film Festival. Currently, she edits the On Global Screens magazine, and writes for the online daily newspaper www.thecitizen.in. Loretta Pinto, born and raised in Mumbai, completed a hotel management course from the YMCA, Bombay. After briefly working with Raka Advertising, in 1992, she started working with Uma da Cunha. Since then, she has been managing Uma da Cunha's all-round work and business, particularly legal and accounts matters. Rutwij has been working closely with Uma da Cunha since 2016, assisting her with programming, and more recently with subtitling and casting. He is in charge of the layout and design of the On Global Screens magazine (formerly Film India Worldwide) and is also one of its principal writers. 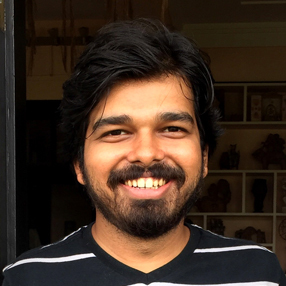 In 2017, Rutwij received a Bachelor’s in Mass Media (Journalism) with Honours from St. Xavier’s College, Mumbai, and in the following year a Postgraduate Diploma in Critical Theory, Aesthetics and Practice from Jnanapravaha Mumbai, and is currently their Social Media Strategist. He was a finalist at the 2015 Jio MAMI Mumbai Film Festival’s Young Critics Lab and also part of that year’s Young Critics Jury. Mignonne interned with Vogue (Condé Nast) Wedding Company’s content team and briefly with CNN News18’s Mumbai bureau before joining Uma’s team in 2017, Her work involves research and writing for the magazine and assisting with subtitling, programming, film festivals and casting. Mignonne received a Bachelor’s in Mass Media (Journalism) from St. Xavier’s College, Mumbai, and is currently pursuing a part-time course in Public Relations and Corporate Communications from KC College of Management Studies, Mumbai. 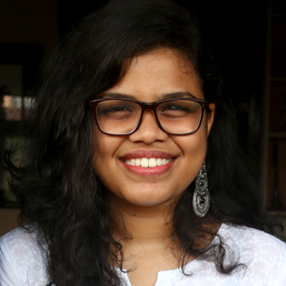 At St. Xavier’s, she was part of the production team for a number of student short films, wrote for the college newsletter, and completed a certificate course in Academic and Creative Writing. Her association with Uma and her interest in cinema continue to grow. Sharmila (Pinky) is a Commerce graduate from Mumbai University. She worked briefly with Bharat Co-operative Bank. Since 2003, she has been working for Uma da Cunha, handling her administrative and office work.